It was a great achievement for New Westminster Secondary School, winning, for the second consecutive year, the banner for Girls and Overall. 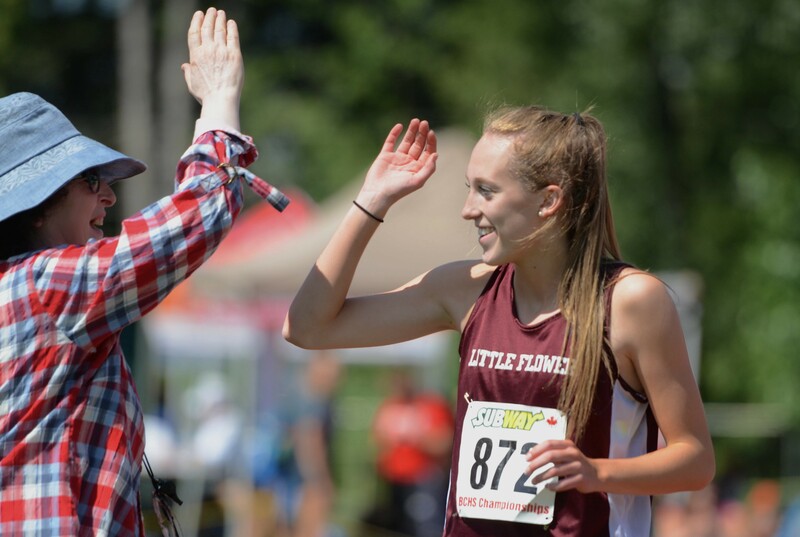 Even missing the competitions with potential winning in 400m and top three in 4x100m, the NWSS team won the BC Titles with 70 points for Girls and 75 points Overall. But there, as every year, is another winner behind the scenes,The New West Athletics Program, a joint venture of New West Spartans T&F and Vancouver Olympic Club led by BC Coaching Excellence award winner, Tatjana Mece, the Head Coach of New West Spartans T&F Club. The coaching staff of this program, with Gurchet Kandola, Milijanko Stefanovic, Krista Woodward, Jerin Mece, and Besnik Mece, prepared to compete in BC High School Championships. 22 athletes from 15 schools, won 18 medals (11 Gold, 2 Silver and 5 Bronze), with 8 Individual Champions. Junior : Anastase Eliopoulos, Van. Coll, 3 Gold in 100m-200m and 100mH. Diego Medrano; South Burnaby, Bronze in 100mH. Other athletes who successfully competed are: Jillian Wong, Julia Ho, Nina Watson, Thomas Nobbs, Peterson Schemmer, Ben Paetzel, Marco Narsisco, Abdul Bungura, Ben Wang, and Kate Newell. It is only Vancouver based track program that can successfully produce World Standard Championship athletes. 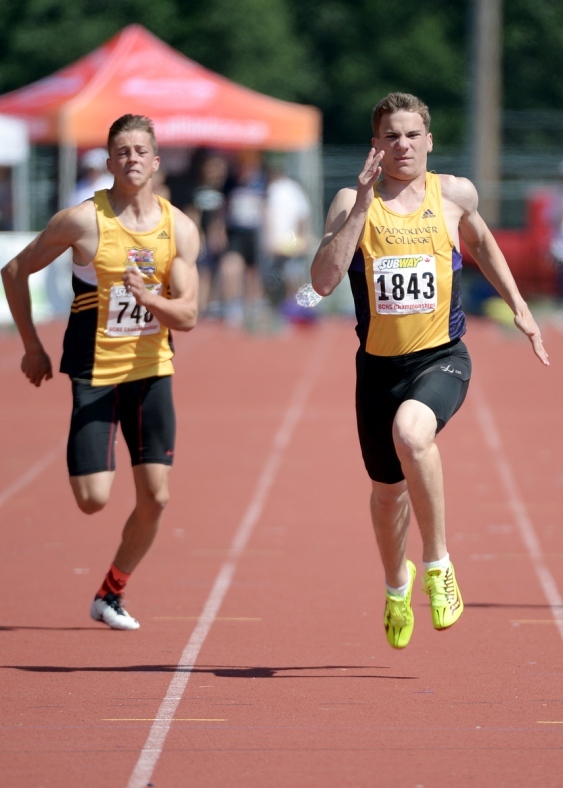 New West Athletics Program, makes New West, The Capital City of Track and Field in British Columbia, and shows the potential of the New West Athletics Program in the track and field family.